Stampin Up news -- the retiring list is here! 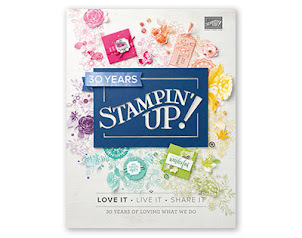 The Stampin Up catalog year is coming to end on May 31st that means the some of the products in the annual and Occasions catalog are retiring. The good news is there is still time to order your favorites -- and some retiring products are discounted. Yay for discounts!!! Contact me to receive a pdf of the retiring items sorted by catalog and page number; a sort-able Excel file is also available. April 20th, Thursday, 7 to 9pm; make 4 cards (2 each of 2 designs). Cost is $10 or free with minimum order. Just 2 spots left, contact me ASAP to reserve yours! May class dates are: May 1st, May 18th, May 23rd, and May 30th. Today, April 10th, is the last day to subscribe to Paper Pumpkin to receive the special April kit, designed by Stampin Up's CEO Sara Douglas AND it contains a free gift! Click here for a quick video. Announced today on Paper Pumpkin's FaceBook page -- the April kit includes 12 cards, a new color; Lemon-Lime Twist, and a stamp set with words written in Sara’s actual handwriting! Choose me as your Stampin Up demo when you subscribe (or use the link below to automatically select me) and you get a free crafting night every month. Bring your kit to my house and get your pumpkin on! Pumpkin kit night is held at the end of the month, 7-9pm; the May Pumpkin night is May 31st. Click here to subscribe (links to me) and join the fun. But wait, there are more perks for subscribing! Only kit subscribers can purchase kit refills and additional kits (while supplies last). Sign up today!